Not buying fakes is a matter of personal integrity and a sign of respect for the company and what it represents. To avoid buying a fake product, we have a brief introduction to the Under Armour Ozsee Sackpack and how to identify a fake Under Amour Sackpack from an fake Under Armour Sackpack. • Sackpack can be carried both ways; you can either carry the bag with the black facing out or with the grey facing out. You are getting 2 different colours to match your outfit, for the price of 1 bag. • Bags that constantly fall off our shoulders are a hassle and that is why the Under Armour Sackpack has a Sternum clip to help bag pack stay on our shoulders. This supports an active lifestyle. Sack Pack does not fall off your shoulders even when you are running or climbing. • Easy clinch drawcord ensures smooth operation and that the opening of the sackpack does not fall open. • Bar tacks at areas where the Sackpack will be subject to extra load for additional reinforcements. • Bag is designed for optimal light-weight and simplicity in design, hence there are no pockets, zips or hidden pockets. • The bottom corners of the bags are rounded for a neat, athletic look. 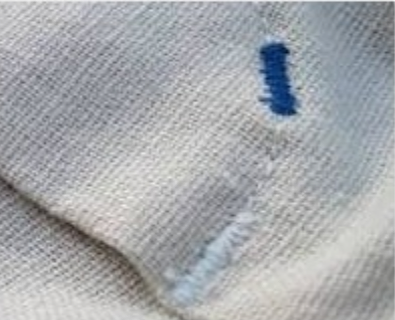 • Logos are printed on using silkscreen technology for durability. • Sackpack comes in a single size only, and in 4 muted colours. • Made of lightweight, durable and quality polyester. • The fake Under Armour Sack packs comes in various sizes, big and small. • The corners of the fake Under Armour Sackpacks are sharp, not rounded. • The fake Under Amour Sackpacks comes with zips and additional pockets inside the Sackpack. • The logos on the fake Under Armour Sackpack comes with either thick outlines, or on rubber badges. The authentic Under Armour Sackpacks does not comes with rubber badges. 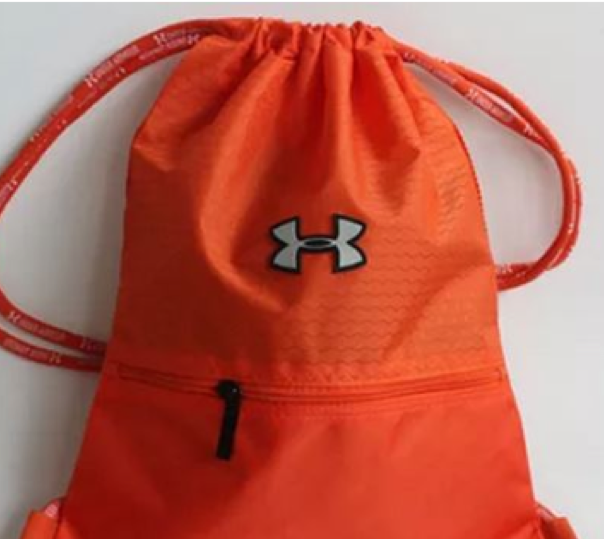 • The fake Under Armour Sackpacks comes in an assortment of colors, from orange to neon to bright pink. 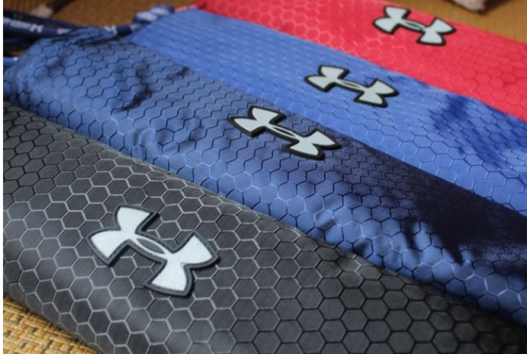 The authentic Under Armour Sackpack comes in only 4 tasteful, subdued colours. • The fake Under Amour Sackpack does not allow wearer to wear either ways. • Source of Supplier: Suppliers are only selling these stock online, without a physical store, or presence. • Many Suppliers selling the exact same design, with the exact same pictures. There is a very limited number of sources/distributors who could be holding authentic Under Armour apparel and sporting equipment. If there are many suppliers selling the same product, then it could only be a fake. • Very low price and even buy 1 get 1 free offers. Authentic Under Armour goods will not be selling extremely cheap. Rampant sales offer at super low prices could only mean that item is fake. • Free gift with every purchase and the free gift is a totally irrelevant item to the Under Armour brand, for example, a USB LED light. Under armour does not sell USB LED lights. Chances are the free items comes from China, where they have a popular sales strategy of giving free LED lights with purchase. 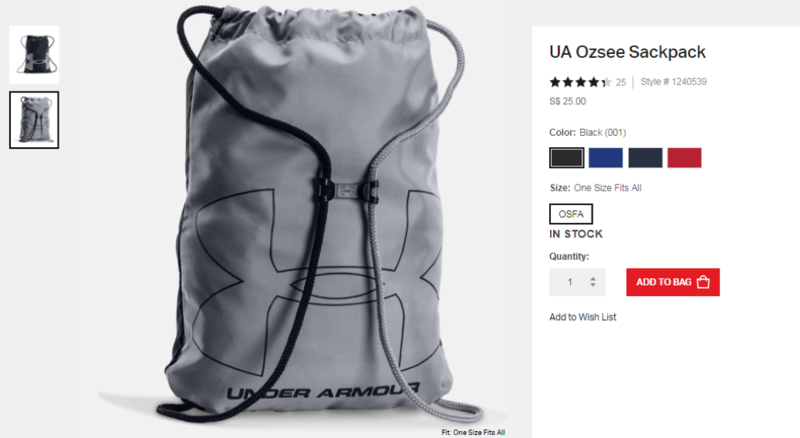 When in doubt, always cross check against the Under Armour website and do not believe claims that the Under Armour Ozsee Sackpack is authentic, or that it comes from a past season etc. At Ark Industries, we respect the Under Armour Brand and do not support fake products. To purchase Authentic Ozsee Sackpack for your corporate events, please contact us at +65 63520988 or send us a message below to find out more!